Alexis De Tocqueville observed that Americans had more of a tendency to form societies than Europeans. Indeed, even though Americans frequently went to Vienna or Paris for training at that time, the first dermatologic society was formed not in Europe, but in New York. The first dermatologic society in the world was the New York Dermatologic Society, founded in 1869. The Berlin Society was the next, and it was established two years later. 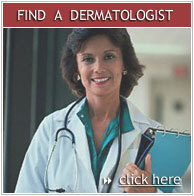 In 1876 a national dermatologic society, the American Dermatologic Association, was established. In 1900, the Manhattan Dermatologic Society was formed and shortly later the Metropolitan Society began. Each of these was quite exclusive. In 1924 the Bronx Dermatologic Society was founded. This society was open to new members and soon enlarged, subsequently changing its name to the Dermatologic Society of Greater New York. In 1938, Dr. Howard Fox led the formation of the American Academy of Dermatology. Our society began in the 1940’s. At that time Queens General Hospital had a busy dermatology clinic. Its dermatologists, who volunteered to work there twice weekly, started meeting informally at the end of clinic sessions to present challenging patients to each other. Also around this time Dr. Conrad Stritzler organized doctors for discussions of patients at his home office in Queens. At the end of the decade, a more formal structure evolved with the election of officers and the adoption of our name. Early members of the society included Drs. Ida Mintzer, Conrad Stritzler, Charles Miller, Irving Fishman, Stanley Altshuler, Adrian Neumann, Louis Hutner, Max Boxer, Zoltan Rubin, Steven Laurnes and Alex Fisher. Dr Mintzer, the director of Dermatology at Queens General Hospital, served as the first president followed by Charles Miller. Adrian Neumann was the secretary-treasurer. And while presidents held office for one year at a time, Dr. Neumann served for ten years or more. Dr. Royal Montgomery went to his first meeting of the society in 1970. The meeting just happened to be the day for the election of the Society president. So on that day he emerged from the meeting as both a new member and as president. At that time, the society’s most significant events were dinner meetings, held once or twice a year, at the Meadowbrook Motel in Jericho, or at the John Peel Room in Westbury. Usually about ten to fifteen members attended these meetings. In 1971, Dr. Zoltan Rubin was elected president. He started clinical meetings at the U.S. Naval Hospital in St. Albans, as well as Queens General, improved the quality of the meetings, and extended the president’s term to two years. When Dr. Marvin Dannenberg became president in 1972 the society had about 40 members, almost all from Queens county. 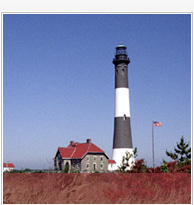 He encouraged Nassau and Suffolk dermatologists to join, and two years later membership had reached 70 members. During his tenure we started having dinner meetings at Westbury Manor, and clinical meetings were initiated at three different hospitals. Dr. Lewis Shapiro organized meetings at Long Island Jewish Hospital, Dr. Eugene Bodian at North Shore Hospital and Dr. Ralph Grover and Fred Mebel at Meadowbrook Hospital (now Nassau University Medical Center). And in 1991 Dr. Richard Clark initiated clinical meetings at the University Hospital in Stonybrook. Around 1975 a new set of By-Laws was approved, and in 1987 the Society was incorporated in Huntington, New York, as the Long Island Dermatological Society. In 1984, the American Academy of Dermatology granted us the right to award continuing medical education credits in connection with the State University of New York at Stonybrook. In the same year we joined the Atlantic Dermatologic Conference. Over the past 30 years there has been progressive expansion in membership. Currently the society is composed of approximately 140 dermatologists, dermatologic surgeons and dermatologists from the New York metropolitan area, and includes some of the most prominent and well respected dermatologists in the nation. We meet 5 times yearly for dinner meetings at different venues where we receive presentations on varied dermatologic issues. And once a year we have a clinical meeting at Nassau University Medical for discussion of patients with unusual challenges to diagnosis or treatment. 1984-1986 Frank De Mento M.D. Our By-Laws state that our society was founded for the “promotion of better understanding of dermatology among its members, the community, and the general public.” There have been many changes in medicine and dermatology since 1950, but that goal is no less important today. This synopsis was based on informal talks with Drs. Vincent Cipollaro, Irving Fishman, Marvin Dannenberg, Ralph Grover, Louis Shapiro, Ronald Stritzler and others. Please contact the society if you have corrections or wish to provide additional information.